My favourite place in the game. Whoever did the giant cave complex in the huge trunk, well done. It's a thing of beauty. I'm not a huge fan of how gaudy some other parts of the game are, but this thing is subtle and understated. What a beautiful piece of work. I'm hoping that in future we'll see some small crustaceans scampering on the walls there and perhaps a few slithering eel like creatures lurking in the dark corners, just outside of the light's range. The lurking horror in the deep sea. I'd like to see that too. Right now the most fearsome fish is the stalker. The sandshark seems to have no surprise attack yet and he doesn't seem to lure near needed resources. The crush hurts, but does not make me feel fear. I'd favor some eel or octopus for the caverns. Recently it's the gasopod, who became the ultimate killer of the undersea. No matter how I approach it trying to make floaters stick to it, it 360noscope one hits me every time. Yeah, we love that cave as well. That was done by Jake "Jonacrab" Smith. And yes, more dangerous creatures, including an eel like creature, will be coming. Right now, however we are focused on making the existing creatures work better. On the other side, from the fear aspect the gasopod is harmless. I would argue that every predictive creature causes no fear in virtual environments like movies or games. Damage only matters in real life, so you only get fear by loss of prediction. Like never knowing where a predator is, which makes the stalker quite fearsome, while the gasopod, sandshark and crusher are free from fear. The sandshark will probably be optimized to dig near valuable resources and then rush out from underneath trying to catch the player. My fear favorites would be roaming predators that are able to travel through greater parts of the map forcing the player to find cover, seeking predators that get attracted by digging sounds or bloodtrails, or more lurking predators that use different hiding principles (dig in, hide in shadows, chamaeleon, mimic). I haven't seen a mimic concept so far, but keep my fingers crossed. In caves another concept of fear would be to trap the player. 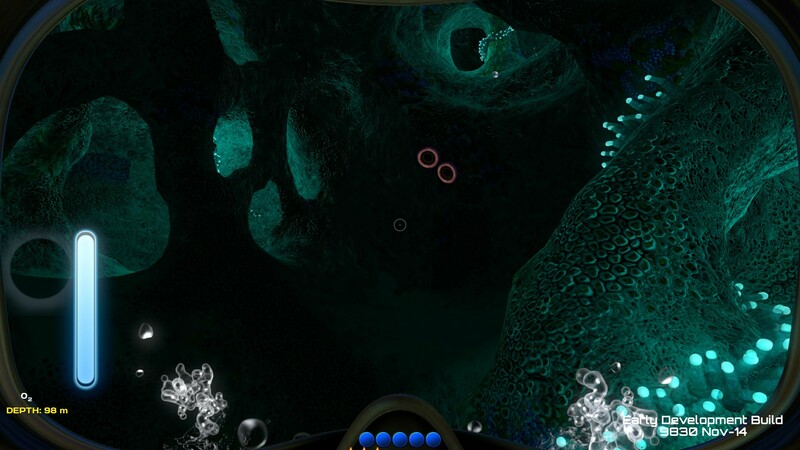 Like trapping currents, an octopus, some tentacle plants or animal poison that freezes the player movement. I'm absolutely certain that we'll see offensive/defensive mimicry in SN, it's so loaded with potential. You go to get some parts from the mothership and bam! it was a cutefish the entire time.